Experiencing anxiety or even severe phobia when visiting a dentist is more common that you might think. At our office in Dunwoody, we see dental patients from a wide variety of backgrounds, including those who love visiting the dentist and others that would, well, rather be elsewhere. To ease your experience — whether it’s for a routine cleaning or more complex restorative care — we offer sedation dentistry in our Dunwoody practice. Electing to have sedation is something that can help you feel more relaxed or even tune out what’s going on around you. While our sedation options range from gentler nitrous oxide (“laughing gas”) to moderate oral conscious sedation, you can elect how “aware” you want to be throughout the process. 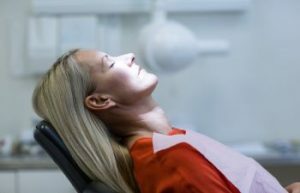 Oral sedation causes a dream-like state and even amnesia in some cases, where you’re unlikely to remember much about the appointment, if anything at all. During your initial visit, we’ll discuss your medical and health history, comfort level with previous dental experiences, and what your goals are for upcoming treatment. Nitrous oxide sedation can be added to just about any appointment, even if you’ve already started the procedure. Yes, you can even have it during a cleaning. Oral sedation requires a bit more planning in advance. You’ll have to arrive about 30 minutes early to take the medication and bring someone with you to drive you home afterward. It can take a few hours before the medication starts to wear off. Schedule a consultation at Dunwoody Family & Cosmetic Dentistry today to find out if you’re a candidate for safe dental sedation with our experienced dentists! The Low Down on Thumb SuckingSave Time at The Dentist!